Looking for Lightroom plugins that will help you do photo editing and color correction? Below you’ll find the best Lightroom plugins that will make your work in this software faster and professional. I tested countless plugins to gather these Premium and Free Lightroom Plugins, so you can select something that corresponds to your photographs. Lightroom plugins (Lightroom Extensions, Add-ons and Add-ins) is a set of tools and features for photo management, image editing and showcasing, which may be adjusted and extended as you need. You may use original Adobe Lightroom plugins or download them from professional websites. It helps you add necessary features, which weren’t available in the basic program. If you are only going to get this photo editing software, find out how to get Lightroom free in 2 easy and safe ways. How to Install Lightroom Plugins? Run Adobe Lightroom, download and unzip your plugins. Select Plug-in Manager. Choose File>Plug-in Manager (Windows) and Lightroom (dialogue)>File>Plug-in Manager (Mac). Click on “Add” in the low left corner of the dialog box and click on it. Find the Folder and add the Lr plugin. Repeat this algorithm if you need to deactivate it. You may spend much time trying to find the best Lightroom plugins for effective and creative work. The thing is that many companies and retouchers offer low-quality tools that don’t deserve your attention. I’ve prepared a universal collection, which has special filters for every photographer. 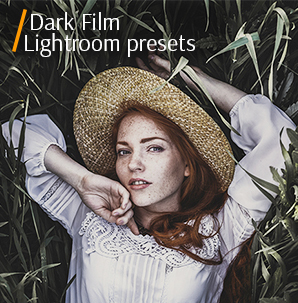 View more Free Lightroom Presets and Lightroom brushes to make photos pop in several clicks. Your HDR photos will become truly atmospheric with these plugins for Adobe Lightroom. You don’t need to take many pictures at different exposures, then combine them into one photo and adjust the tones to get a well-balanced shot. You can achieve this effect in several clicks with this gorgeous plugin. Besides, you’ll get sharp images with accentuated details in highlights and shadows. Don’t miss a chance to give your photos a stylish high-contrast B&W look with this collection of monochrome presets. There are 10 free plugins for Lightroom in the kit, which you can apply to different photo genres, be it wedding, portrait, architecture or any other genre. These Lr plugins never lose their appeal, so it is super cool to download and have them at your disposal. Like shooting cars? Then Car LR presets will become a great addition to your best free Lightroom plugins collection. They were designed by specialists, who have a rich experience of shooting cars and editing this type of photos. You will be able to add film, matte, B&W and many other effects to your car images, and get absolutely awesome results. Wedding photography is developing at a fast pace, so the number of shooters interested in wedding photo editing plugins is growing each day. 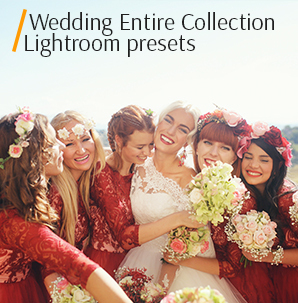 Fortunately, they can download our collection of 10 top-rate Lightroom Presets for Weddings and and make professional photo color correction easy and quickly. Real estate photographers often face difficulties trying to show houses attractive and realistic at the same time. With these LR plugins, they are sure to get the best results. These free Adobe plugins will help you accentuate key elements in your real estate photography, enhance coloring and eliminate blurry parts. Vintage presets are never out of fashion, as many successful shooters enjoy presenting photos with retro elements. These 10 high-resolution plugins enable you to add vintage vibes to your images, thus making them more interesting to the viewers. The pack includes 10 best Lightroom presets that are aimed at imitating film effect. It is very difficult to achieve this specific look on your own, so the presets will become really useful if you want to make your works stand out among hundreds of other images. Another bundle for fans of this charming film effect. These 10 cinematic LR plugins will help you quickly simulate the film look, even if your photos were taken with a DSLR camera. This is a super effective plugin, which gives you a chance to synchronize your LR catalog with SmugMug files, and them send and show them in your online galleries. Thus, you can arrange and improve pictures from one app that you constantly use. Have a Shutterfly account? Then why not export photos from Lightroom directly to it? Using this plugin, you can do it both on Mac and Windows. Though Lightroom is tightly related to other Adobe products, mainly Photoshop, it can’t please users with many PS photo editing features. But with Green Screen Wizard Lightroom plugin, you can easily achieve results similar to those, you get in PS. Green Screen Wizard is a great tool to change the background, but only if your pictures have been taken against a green screen. Use this green screen background for taking creative photos. Use this background together with the Lightroom plugins mentioned above for funny photos at unusual destinations. Download this Lightroom plugin for Photoshelter and send your images right to your Photoshelter account. You don’t even need PhotoZoom to resize photos. Among other Lightroom CC plugins, this is definitely the most popular one. It enables you to export your pictures from Lightroom to Pixieset, synchronize collections and re-publish new images. Don’t know how to choose the best photo, if you have taken dozens of shots? Then, this plugin will come in handy. It shows what areas of images are in focus and applies a red outline to the sharpest parts. Thus, you see crisp images without staring at the screen for many hours. Are you the Instagram fan? Want to post beautiful photos with creative tags? You are lucky to have this Lr Instagram plugin, which comes with a special algorithm to analyze your pictures, enabling you to apply tags to several photos at once. View more about Free Photoshop Plugins that you can download to make photo editing faster and easier. Only professional plugins tested by photographers and photo retouchers. There are many wonderful paid Lightroom plugins that are worth some expenses. The problem is that it is quite challenging to find really decent paid LR tools among the variety available on the web. But don’t get upset! I have reviewed the best plugins for Lightroom, which will add creativity and flexibility to your image editing. You probably know Luminar as a separate program, which is often called a serious Lightroom alternative. But it is also used as a paid plugin for Lightroom, featuring many filters and presets. It works in such a way that you choose an image in LR and then send it to Luminar. After the photo has been opened in Luminar, you can apply different filters and presets, which help you improve the shot in the artistic manner. Although, filters in Luminar greatly resemble adjustment sliders in LR, most of them offer more possibilities than standard color and tone corrections. This is a great example of cool plugins for Lightroom, which combine simplicity necessary for novice photographers and advanced features so appealing for professional users. Photolemur plugin is designed to facilitate the tiresome photo editing process. It gives you a chance to set the final look if your pictures simply dragging a smart slider. The plugin has a modern interface without many distracting elements, so you can fully focus on photo editing. If you like posting your works on Instagram, you will definitely like this Lightroom to Instagram plugin. In fact, this is an unofficial publish tool, which aims at simplifying the process of sending your edited shots to Instagram. Just install the plugin, add new service to Lightroom Publishing Manager, and get connected to your Instagram profile. Move images to your publish collection, click Publish and your pictures will be instantly sent to Instagram. This is really the fastest way to post your works. 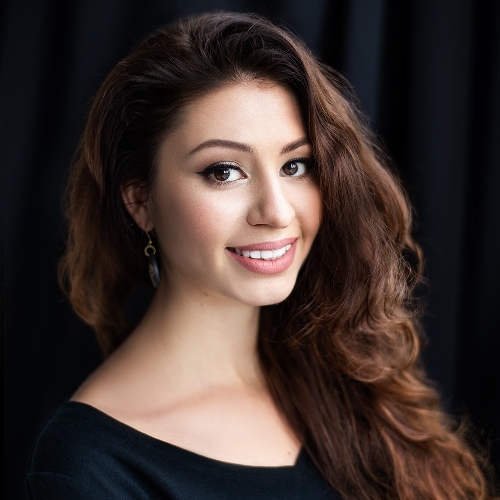 If you specialize in portrait photography, you know how exhausting further photo post processing can be. FixThePhoto has created the plugin, which will help you achieve awesome results with minimum efforts spent. Use this Lightroom portrait preset if you need to improve light or shading, get rid of redness on the skin, make colors more vivid, enhance skin tone, etc. This preset is made by people, who know all the pitfalls of portraiture, so you get a great plugin to make your portraits beautiful and professional. Want to be in total control over the way presets affect your photos? Then Fader plugin for Adobe Lightroom will become your favorite tool. In fact, Fader is the preset opacity slider plugin, which gives you a chance to regulate to what extent you want to apply any filter. You may choose 0% value, without changing anything in your image, 100% to experience the full potential of the used preset or even go further with 150%, over processing your image editing. Lightroom time lapse plugin provides vast possibilities for time lapse photo editing, keyframing, rendering and grading. Your camera brand or operating system is of minor importance. This plugin works efficiently, making your photos and videos original and pop. If you intend to improve less than 400 images, Lightroom timelapse may be used free of charge. But if you are interested in constant use and need to improve more photos, you need to purchase the license. Thus, you’ll be able to edit your pictures in “holy grail time lapse” manner, getting rid of all distracting elements and effects. To make your photos even more interesting, you can use Lightroom brushes, which ensure more delicate work with any picture. 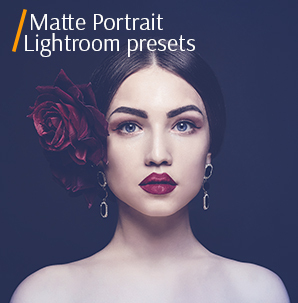 For instance, this bundle was specifically designed for portraits and contains 42 professional tools, which will make your work in Lightroom more effective. Among different Adobe Lightroom add-ons, Aurora HDR plugin is really popular among photographers, who strive for more spectacular results. Of course, you may say that Lightroom features inherent HDR functions, but if you test them all, you’ll understand that they aren’t enough if you wish to get more original results. Aurora affects LR’s HDR functions, not violating their initial state. Thus you can get breathtaking images in several seconds. This plugin suits even beginner photographers, who only starting to “explore” Lightroom software. Depending on your budget, you can get a collection of Pretty Presets that will assist you in creating well-balanced and beautiful images. In fact, the set contains impressive LR presets for many photo genres. You can use each preset separately or mix with other filters. If you had some problems adjusting your camera or weather conditions negatively influenced your shooting, you’d have to spend lots of time, fixing possible defects in the image editor. Or you can simply purchase this Lightroom plugin and get everything improved fast and professionally by dint of intelligent photo analysis. This plugin is great for batch image editing and automatic pixel by pixel photo enhancement. Topaz Labs have created 8 top-quality plugins with many interesting effects to add to your pictures. With this bundle, you may enjoy each step of photo editing. Using Lens, B&W or other available effects, you can make your images more personalized. Using Lightroom presets, you get a chance to deliver professional results in a faster way. When it comes to property images, you have to stick to genre standards, though skillfully highlight beneficial features of the house to attract potential clients. You are lucky to get these 3 collections of great LR presets for exterior, interior and HDR real estate photos at such a reasonable cost. In total, you receive 120 professional presets and B&W filters as a free bonus. This is a LR plugin, which is used to combine several photos taken at different exposure in order to get one mind-blowing picture. If you have an open source Enfuse app, you can perform all the manipulations right in Lightroom, getting a wide dynamic range photo in several seconds. There is a restriction on the output size if you use Enfuse as a free Lightroom plugin, but donating some money on the product, you’ll get a registration code to explore the full potential of the tool. All follow-up updates are free. Use this plugin if you wish to decorate your photos as they are exported from LR. This tool has a simple interface, which enables you to add outer and inner borders, watermarks and caption to your images in a quick way. If you use a free trial version, get ready that you won’t be able to upload more than 10 photos at a time. If you decide to donate some money on the improvement of this Lightroom plugin, you’ll receive upgrades and will be able to perform batch picture editing. Facebook disappointed many users, when restricted possibilities to upload images to personal pages from an offline photo editor, like Lightroom. However, you can still upload visual content to your business and community profiles. Having this Jeffrey Friedl Lightroom plugin, you can send photos directly from LR to the non-personal FB pages, if there are no restrictions on these pages imposed by the Facebook policy. Nik collection of plugins of Adobe Lightroom consists of seven tools for Mac and Windows users, who want to surpass their competitors with unique photos. Each plugin is created on the basis of the U-PointTM technology, which strikingly expands LR’s inherent image editing capabilities. These Lightroom plugins may slightly resemble film presets, though, they offer more diverse possibilities varying from tender effects to grunge vibes, which gives you more flexibility for photo processing. You get a chance to add frames, light and lens effects, textures and bokeh finishing to your pictures. Using shortcuts makes work in Lightroom even more efficient. Keyboard Tamer plugin will allow you to modernize standard LR shortcuts, creating more convenient ones. Use this tool for Lightroom 3+ version and adjust the software according to your needs. These Adobe Lightroom add-ons include presets and brushes for landscape, wedding, wildlife, portrait and many other photo genres. In fact, Sleeklens offers really professional plugins at a moderate price, starting with $20 per pack. If you can afford to spend $270, you will become the owner of a large collection, consisting of 1500 presets and 400 best Lightroom brushes. This kit consists of the best plugins for Lightroom, which help upload your pictures right to your site, if it has been created with their service. Thus you don’t need to edit images in LR, save them to your computer and only then upload to the website. Use LRB Exhibition to save your time. This is a real present for anybody engaged in portraiture. With this Lightroom plugin, you may forget about laborious hours of adjusting skin tones and eliminating defects, as this tool applies automatic adjustments to problematic areas. This is the best Lightroom plugin if you need to quickly send one or several images via your Gmail account. This LR plugin has a self-explanatory name, so if you need to backup your Lightroom catalog, feel free to use it. However, with the standard features of the backup tool, you also get some additional bonuses. For example, you can save a copy of your LR catalog, without leaving the software and schedule backup, which is impossible if you use a regular backup tool. Jeffrey Friedl has created lots of awesome Lightroom plugins and this is one of them. It works with Lightroom 2+ and gives you the possibility to add location data to your shots staying in LR. In other words, GPS info is embedded directly to photo META data. This one is aimed at removing/keeping certain photo META data in exported copies. Thus, you can get your privacy and image editing story protected.